« TAKE TWO BOTTLES INTO THE SHOWER? An inverter is an electrical device used to convert 12v DC power from a battery into 230v AC power just like you get from the normal mains supply. 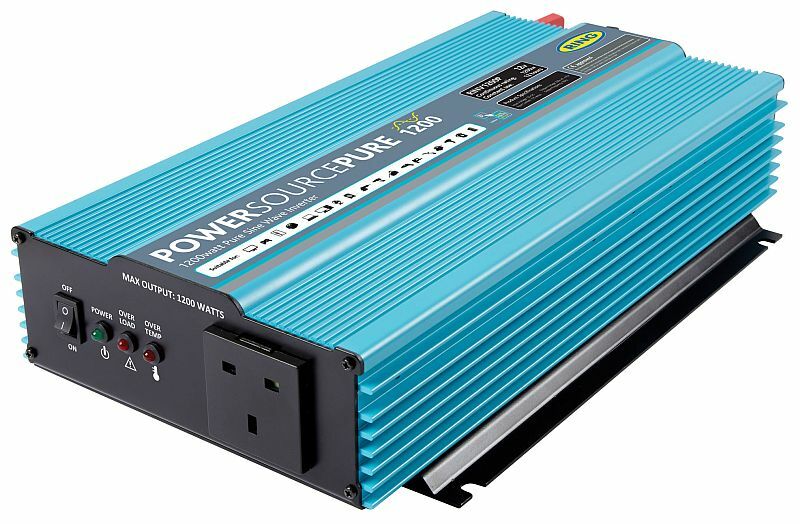 New from Ring Automotive is a range of Pure Sine Wave inverters called PowerSource Pure. These inverters ensure electrical products run at their very best, removing issues linked with modified sine wave inverters, such as distortion to TVs, interference on audio devices and incompatibility with some appliance. The PowerSource Pure inverters enable almost any electrical item to be run where there is no mains power on site by replicating the normal 230-volt mains supply. Being pure sine the PowerSource Pure is compatible with electrical products with inductive loads, such as electrical motors in power tools and capacitive loads such a fluorescent lights or battery charging units for cordless power drills. Being compatible with a whole host of electrical products means the PowerSource Pure is ideal for mobile off site mechanics, builders and tradesmen who need to power electrical equipment. Farmers can conduct running repairs when in the fields, caravanners and holiday makers can power household appliances bringing creature comforts to the outdoors. “You can run virtually any appliance designed to work with the normal 230v supply, so compatibility problems are no longer an issue.” says Paul Shaw Ring Automotive Product Manager. Unlike some leisure inverters the new PowerSource Pure inverters are designed to provide power at the rated maximum wattage continuously. This prevents interruptions and removes any doubts about which inverter is needed for the task at hand. They can also briefly provide up to twice their rated output to help power appliance with a high start-up surge. The PowerSource Pure inverters meet European legislation and come fitted with one or two UK approved plug sockets. The 1200watt and 2200watt inverters can be supplied with an optional hard wired remote control on/off switch for extra convenience or when access is difficult. For complete safety all both PowerSource Pure inverters have over-voltage, overload and thermal protection. The inverters will also shut down if the voltage from the vehicle battery drops too low, allowing you enough power in your battery to start the engine. More information from www.ringautomotive.co.uk ENDS. Print article This entry was posted by admin on August 16, 2012 at 2:39 pm, and is filed under News. Follow any responses to this post through RSS 2.0. Both comments and pings are currently closed.